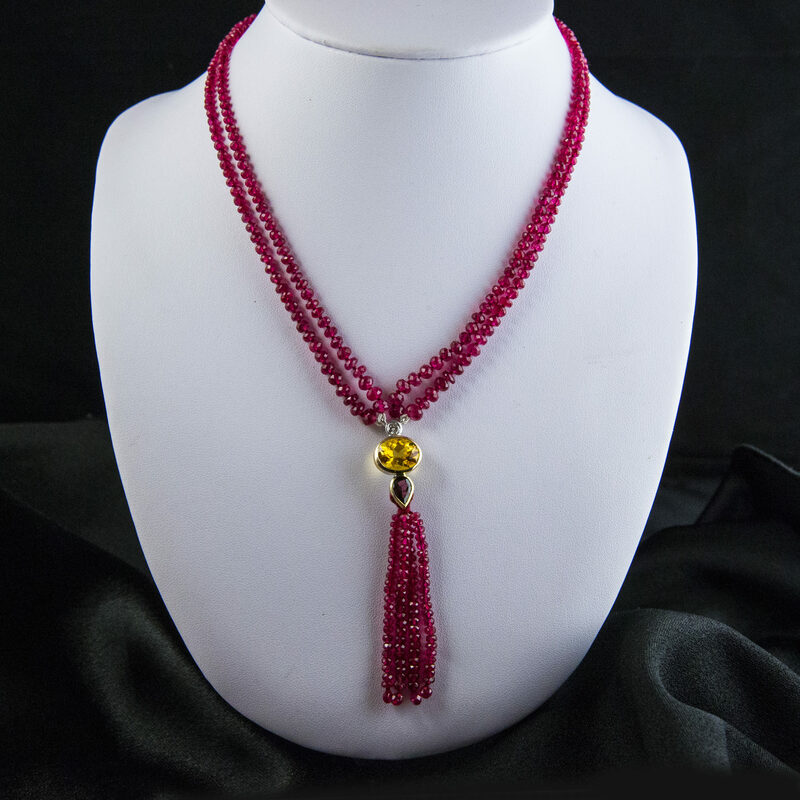 Beautiful, lustrous double strand fine quality red spinel and tassel necklace, enhancer of diamond 4.02mm, oval citrine 12mm x 10mm, pear shaped garnet 8mm long, diamond and 14 carat yellow gold clasp. 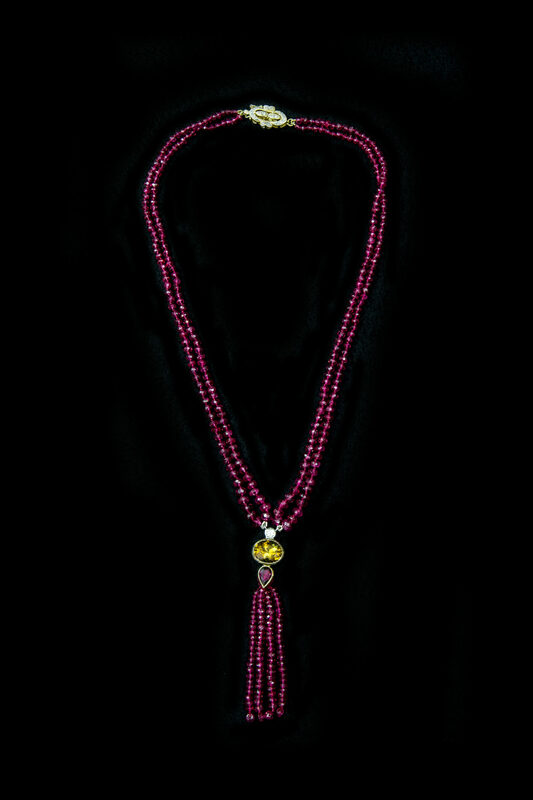 The Countess leads a busy, social life so intimate time with her ‘Significant Other’ is highly prized. On summer evenings, dinner for two on the terrace is a private luxury (as so many other evenings are taken up with dinners, parties, cocktail parties, weddings, balls, charity events, fundraising, art openings, Board Memberships and events, visiting family and friends, innumerable social obligations and vacations around the world). A unique story inspired a unique piece. The remainder of the story will be included with the delivery.